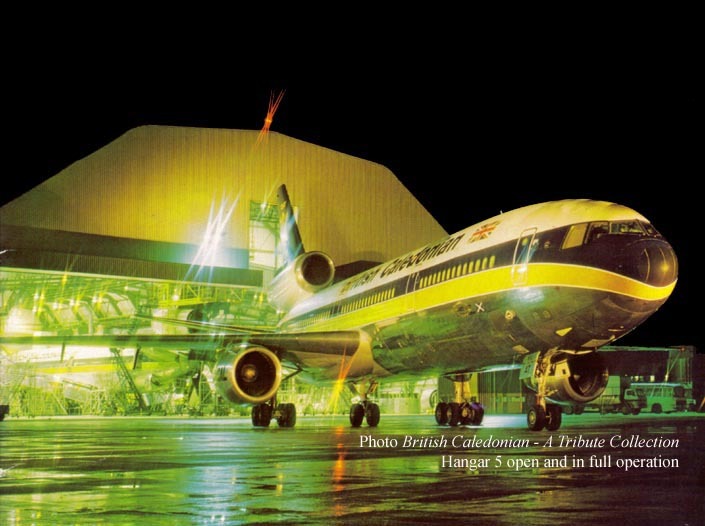 In June 1976 BCal announced an order for two wide-body DC-10 Series 30 aircraft. 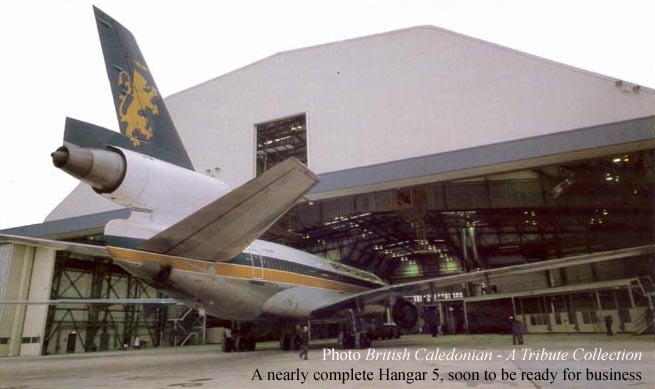 As well as all the training requirements, there was also the need to maintain them and none of the existing hangars could house the DC-10, it was too tall. 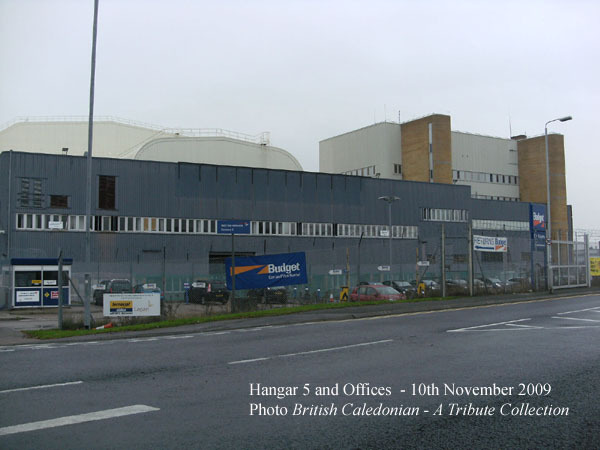 Modifications were undertaken to the existing hangars initially, in time for the DC10 delivery, but towards the end of 1977 plans were announced for a new dedicated facility, Hangar 5 and the go-ahead was soon given to start its construction. 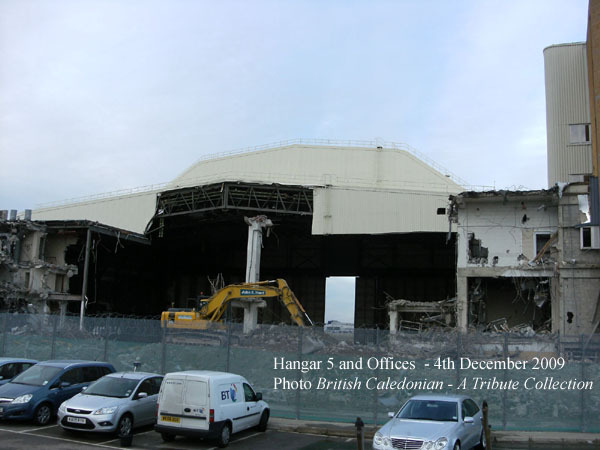 Hangar 5 and its offices would be ready by the end of 1979. 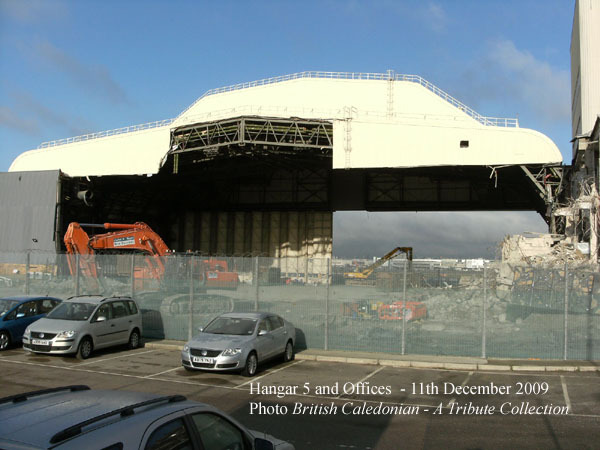 The huge new hanger, that could fully enclose a DC-10, was named after W.A. 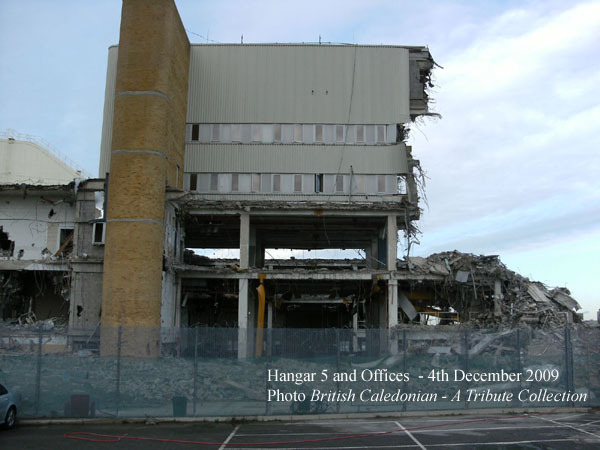 "Bill" Richardson, BCal's Engineering Director. 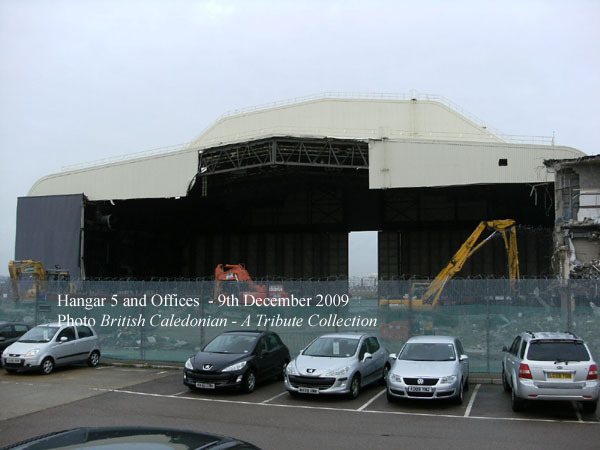 The roof sat distinctively in the skyline at Gatwick, rather than the box-like hangars, Hangar 5 had a unique shape to accommodate the DC-10's tail. 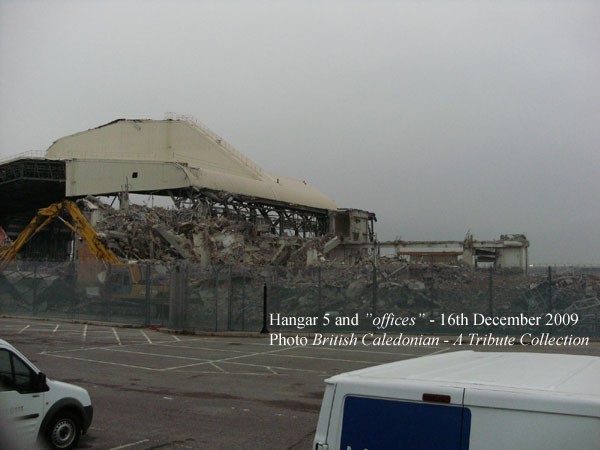 After years of service, looking after the DC10 fleet for BCal (and latterly BA), the sale of the DC10 fleet and the slow running down of maintenance work at Gatwick saw Hangar 5 effectively redundant. 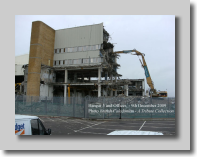 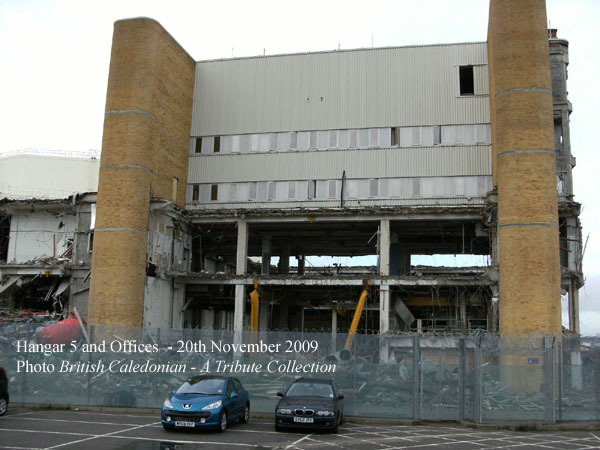 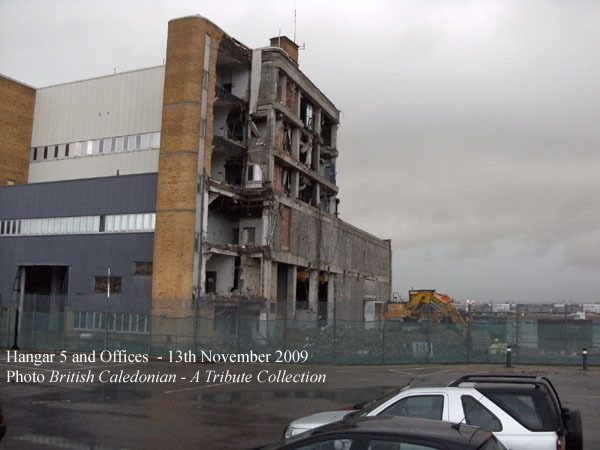 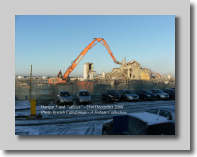 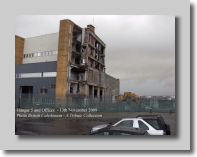 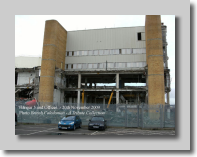 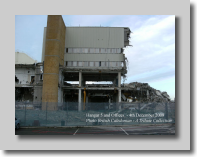 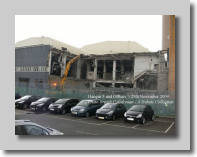 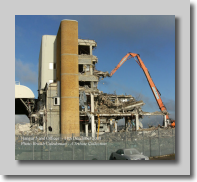 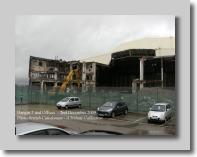 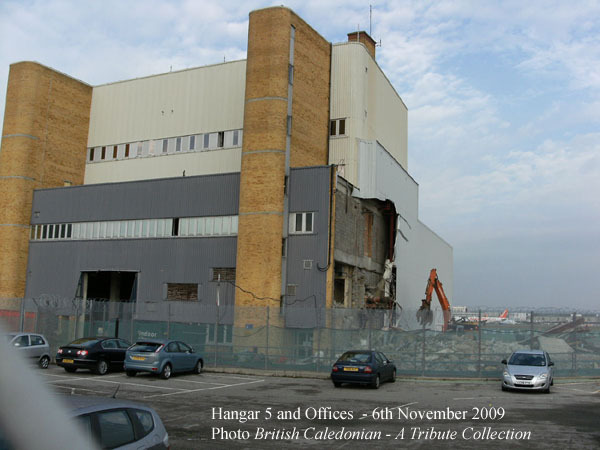 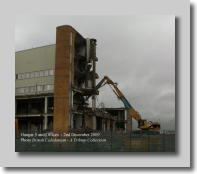 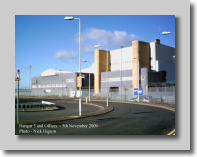 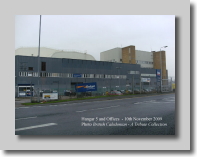 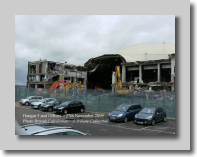 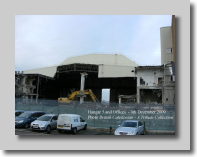 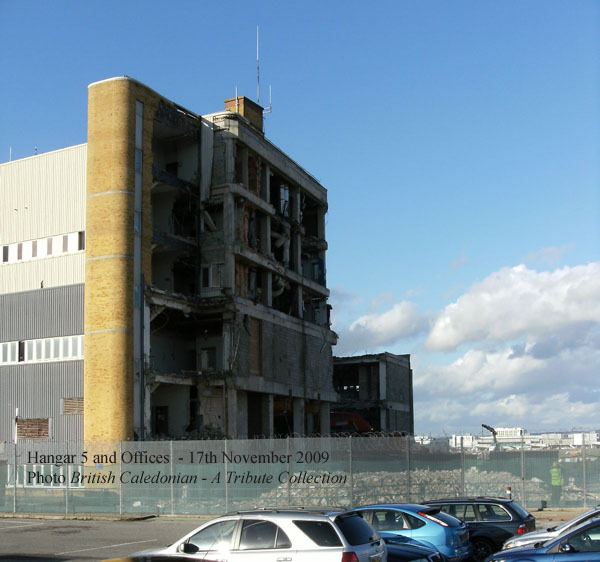 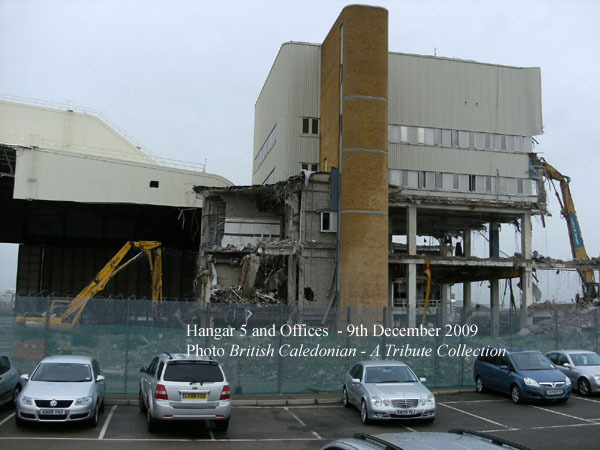 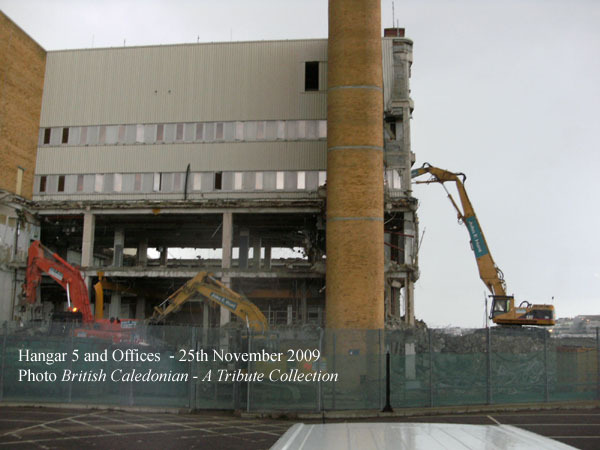 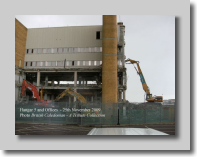 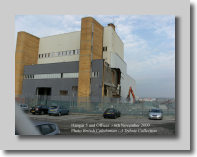 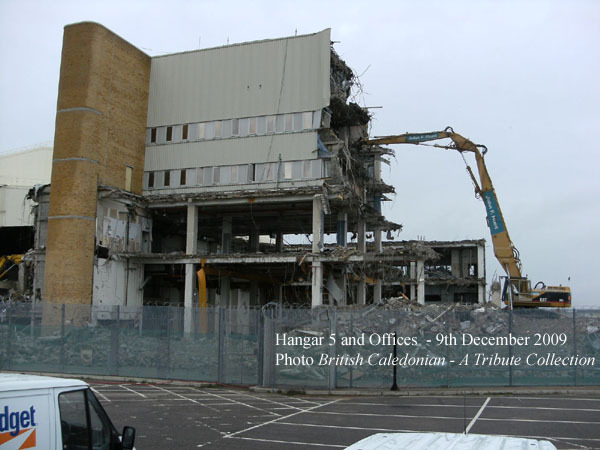 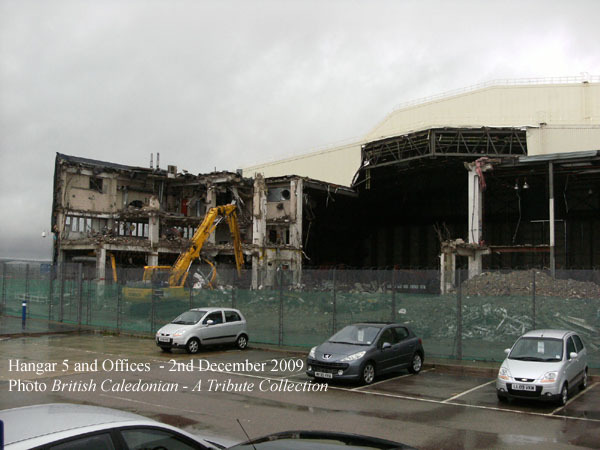 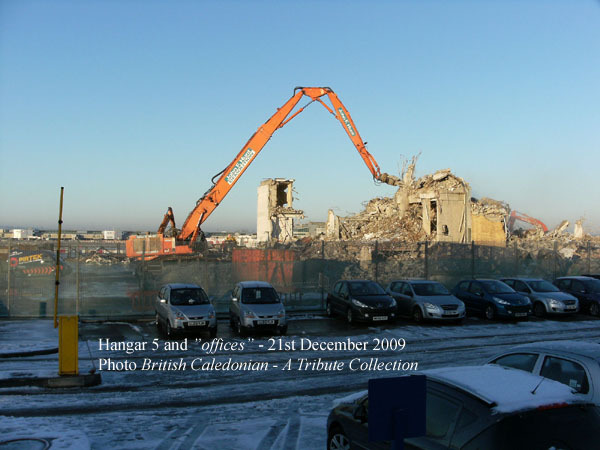 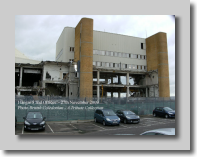 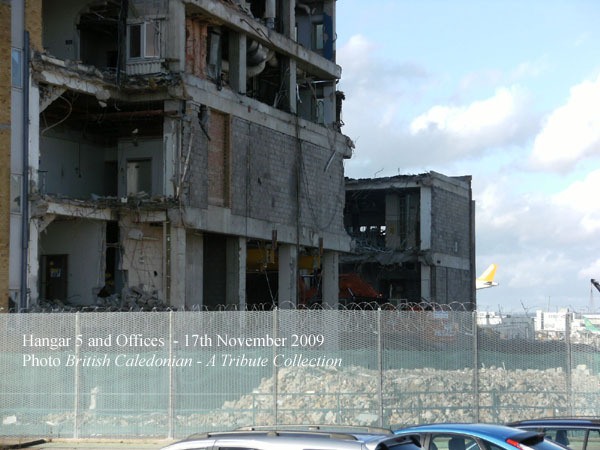 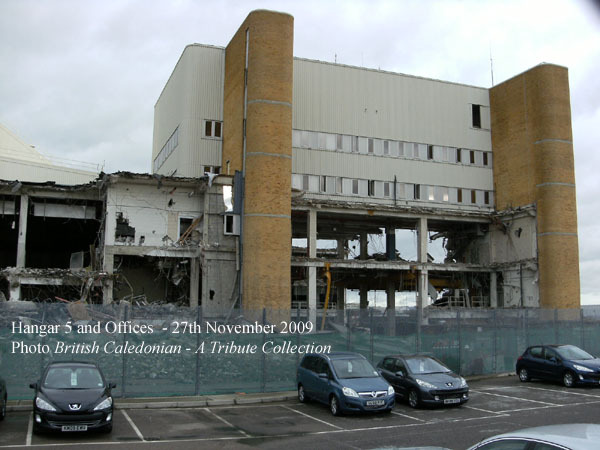 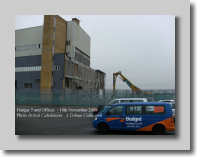 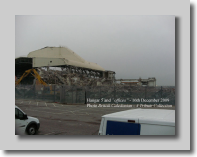 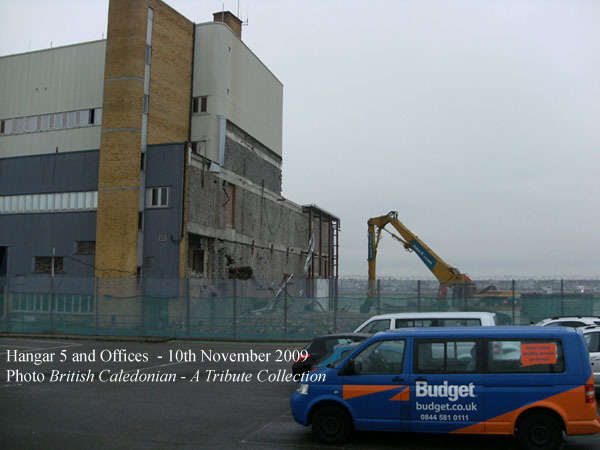 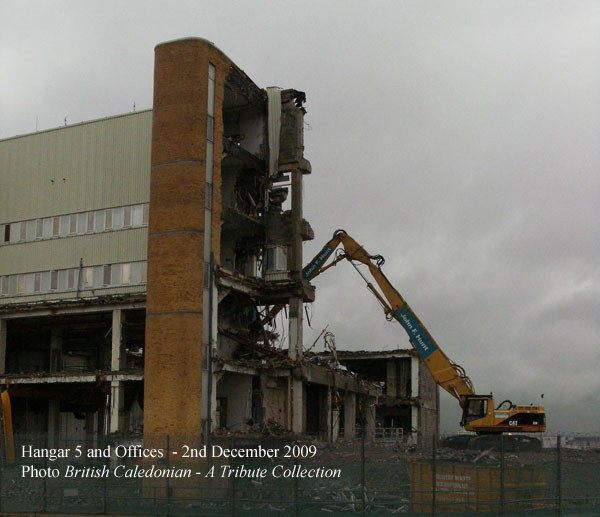 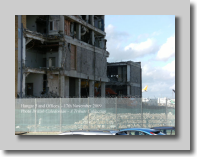 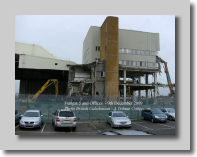 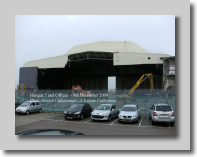 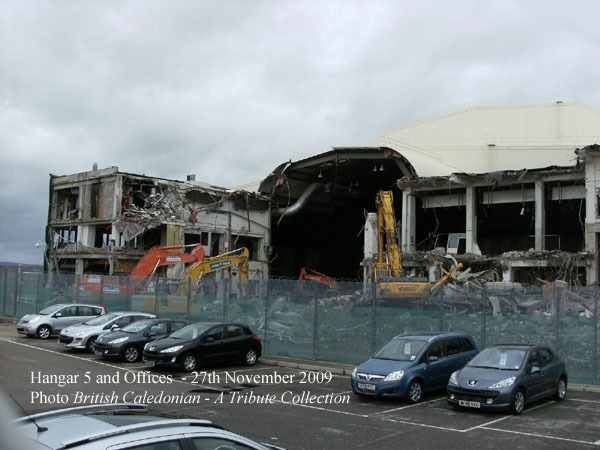 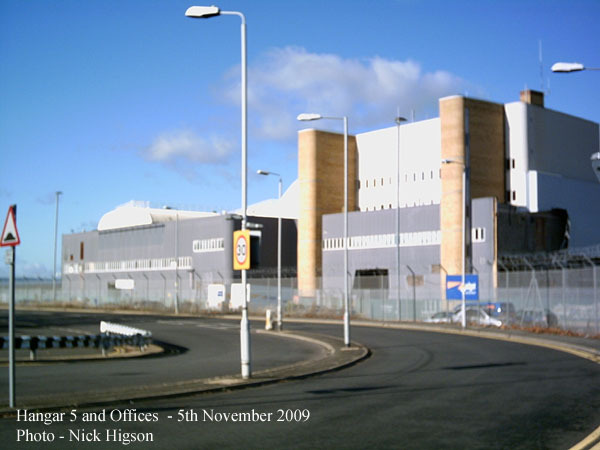 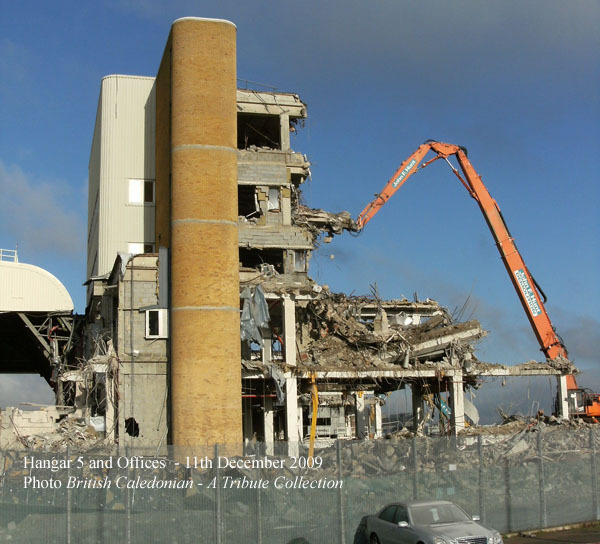 In April 2009 a planning application was lodged for the demolition of Hangar 5, its offices and surrounding ancillary buildings. 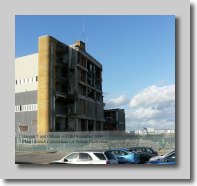 Myself and Nick Higson have been recording the work over the past 8 weeks. 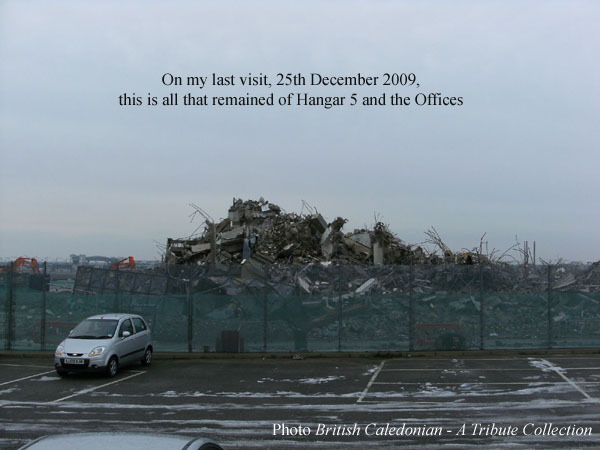 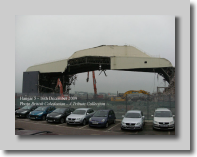 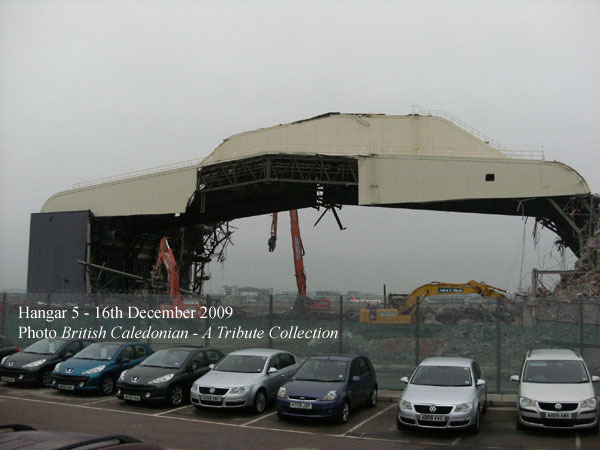 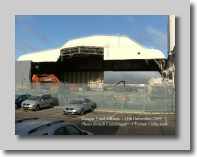 Below is the photo-record of the end of Hangar 5. 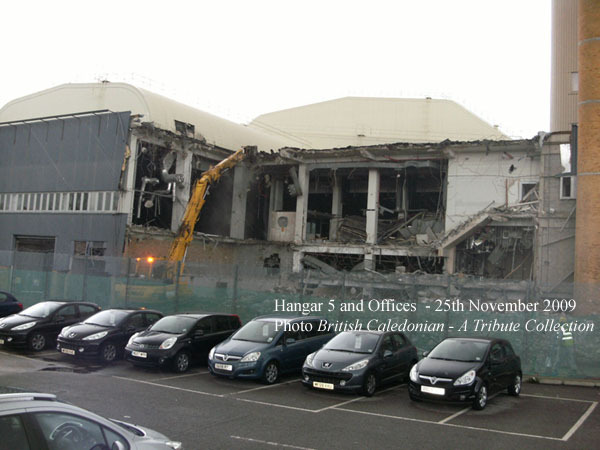 But we cannot end this page like that, so there is a truly great photo of Hangar 5 below !